Did you know that the word ‘Prom’ was first used in the 1890’s shortened from the word ‘Promenade’, a reference to formal dances in which the guests would display their fashion and dancing skills during the evenings Grand March. Since that time, stretch Limousines are hired to drive the prom-goers to expensive restaurants or discos for an all night extravaganza. Did you know that the first proms were held in the 1920’s? Now a days school/college proms are very popular and usually take place between the beginning of June to the end of July. (We are already booking for 2008!) Prom nights can be a very daunting experience and this is why Hire-Limo-Surrey.co.uk is here to give you a helping hand, so that you enjoy your night. We have a wide range of operators who offer a variety of limos in different colours and sizes, such as the Hummer, Lincoln Stretch and Jeeps. Or you could be unique and arrive in a cool Fire Engine limo or even a Party Bus! 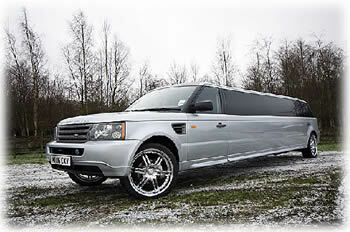 We also cater for Birthdays, Hen / Stag parties, Weddings, Corporate events and Airport Transfers.